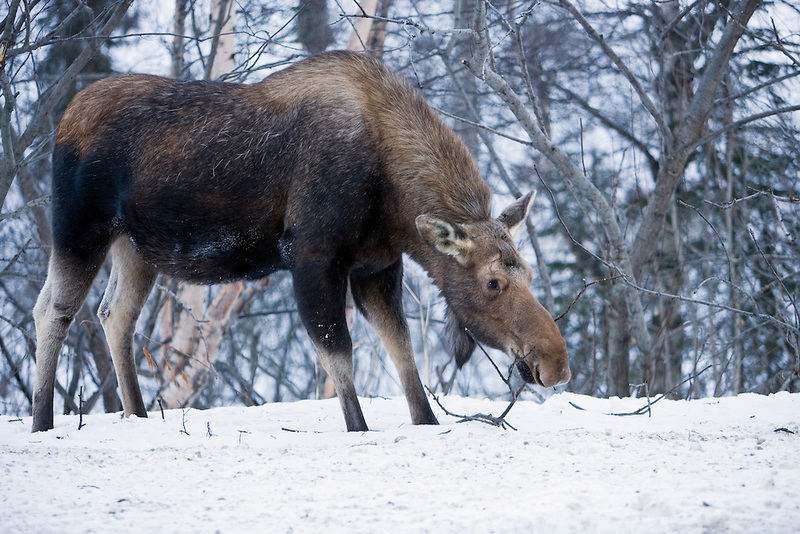 Cow moose feeding on twigs in mid-winter at Hatcher Pass in Southcentral Alaska. Winter. Morning.